Notice the search terms highlighted in blue. But the iPhone has some peculiar features and the question is ‘How much should a platform which addresses the universal web try to accommodate the peculiar strengths and limitations of the iPhone?’ Especially since it seems quite likely that Apple will soon produce some intermediate products which might be a larger iTouch, or a MacBook that shares the wonderful touch and gesture interface of the iPhone. We have introduced some iPhone friendly aspects to our software already, and the latest addition is going to help iPhoners who dont want to do too much hunting around for the toolpanel on our interface. The Exact Editions platform now puts up a chunkier, but cut down version of the toolpanel when it detects that the user is working from an iPhone. There will be a few more nudges like that, but we have no current plans to develop iPhone specific media. Any subscription that our customers choose to buy should work on the vast majority of web environments (OK, if you are still running Netscape Navigator 2.0 you may have a few problems). 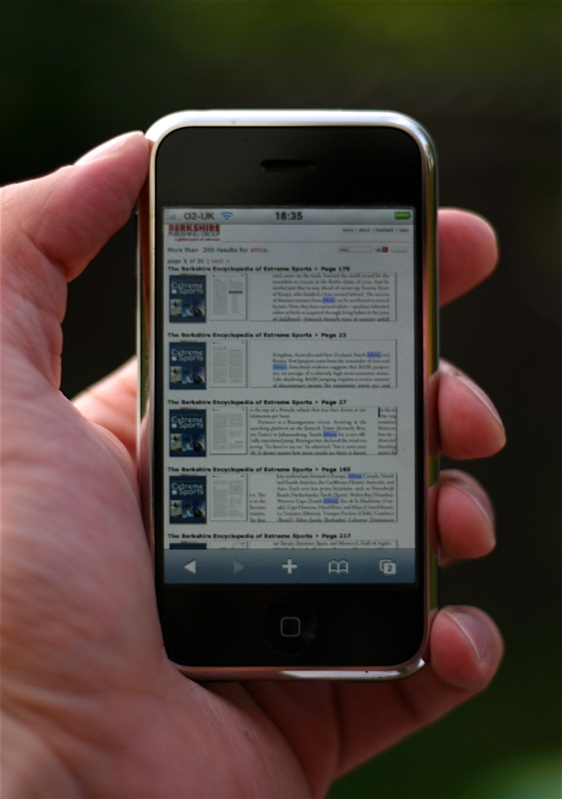 Any iPhone enthusiasts who want to try a book on the iPhone should consider one of the pocket-sized Economist books. If you are looking for a digital magazine to test readability in your cuppped hands, I would recommend PC Utilities magazine. 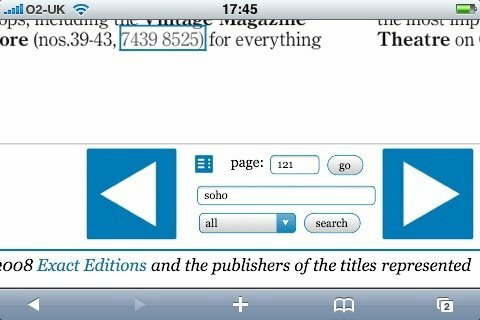 If you just want a freebie to put the platform through its paces, the Bookseller supplements are a good place to start. Lots of clickable ISBN’s, clickable phone numbers and urls there.